If you have previously attended the 3-Day Senior Investigator Course within the last year (otherwise, please contact the office), successful completion of the Tutor Development Course will allow you to become a Kelvin TOP-SET Tutor of 1-Day Investigator Courses within your own organisation. The course begins with a short introductory session of the first afternoon where you will be set a task to complete prior to the following days course. Please note that Kelvin TOP-SET's Directors reserve the right to attend any course taught by a licensed tutor for quality control purposes. It is essential that delegates have successfully attended the Kelvin TOP-SET 3 Day Senior Investigator Course within the year prior to attending the Tutor Development Course. A Licence Agreement is required between Kelvin TOP-SET and the tutor company. This Licence permits the tutor to teach the TOP-SET 1 day Investigator Course within their own organisation. The licence payment entitles the individual(s) to teach the 1-Day course within their own organisation. 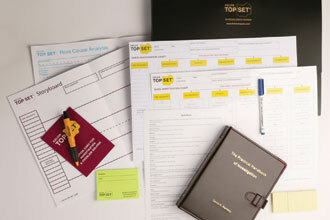 Course materials must be purchased from Kelvin TOP-SET to ensure consistent course delivery and to ensure that all delegates have the necessary tools to investigate incidents as and when needed. Become comfortable teaching others within your organisation to use and apply the Kelvin TOP-SET Incident Investigation System. 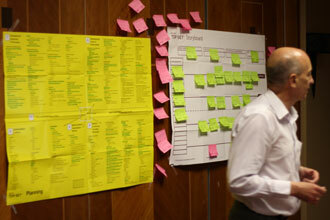 Achieve a good understanding of course management skills. The most important outcome is that you will be able to educate others to use the Kelvin TOP-SET Incident Investigation System effectively. On successful completion of this course and payment of your annual tutor licence fee you will receive a Kelvin TOP-SET Tutor Certificate. You will then be entitled to order course materials from Kelvin TOP-SET as required.